Talk about any Nintendo Consoles here. Dreamcast Games you play Online: None, currently. As influential the N64 and its games were, I have a few major problems with the console. If you like it, that's great. I still like the console, but these flaws keep me from loving it and wanting to keep it around. Keep in mind that this is gonna be satirically exaggerated for comedic purposes, so don't go total fanboy and defend the console disrespectfully. That being said, counter-opinions are always welcome. Just look at it. Does this look comfortable to you? The answer is no, and I don't think anyone on the planet absolutely loves this controller. Of course, it was the first of its kind, and no other company used an analog stick as a main feature on a controller before, but the way they designed it does not hold up. There are two ways to hold the controller for different games; left hand on the middle grip and right hand on the right grip, or left hand on the left grip and right hand on the right grip. Unless you have the instruction manual that was likely thrown out with the game's cardboard box, the game doesn't tell you which way to hold the controller. That being said, there is a pattern; 3D games mostly use the former and 2D games mostly use the latter respectively, to gain access to either the Control Stick or directional pad. Speaking of the Control Stick...it's the worst thing about this controller. Just about any person who owned a Nintendo 64 had to put up with loose and non-functioning Control Sticks. 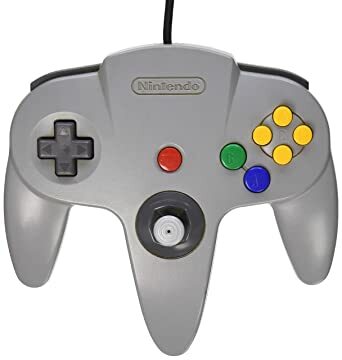 Those that tried to fix them by putting tape under the Stick would find frustration when it became loose again after 2 weeks, when the rest of us were too busy blistering our palms on Mario Party minigames. Thankfully, when Nintendo drops the ball, the fans pick it up, and same is the case with the N64 controller; you can pick up a newly-made Brawler 64 controller by Retro Fighters that is modeled after the Xbox 360 controller. It even has a Turbo button; thank you Retro Fighters! As for Nintendo, they would eventually redeem themselves with the GameCube controller. Another big flaw with the N64 that Nintendo made intentionally. You see, the reason why most cartridges you see around don't come with the box (unless it's a sturdy box like the Sega Genesis/Mega Drive's) is because they simply don't need them; some cartridges are damn near indestructible, and don't need the cardboard boxes used by Nintendo to protect them...or did they? Nintendo suddenly decided that the boxes actually are worth something, and said it in a very sneaky way; removing end labels on N64 cartridges. Did this tactic work? Heck no. Again, as for the case of the controller, this has also been alluded and fixed by fans; homemade N64 end labels have been in production for a while now, so thanks to you people as well. We never thought that the big N would take inspiration from the Atari 5200 like this. "What are you talking about? 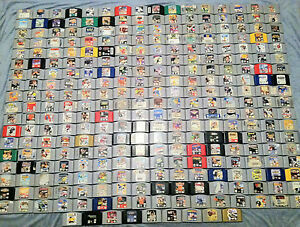 The N64 has amazing games!!!1!" That is most definitely true; Mario 64, Ocarina of Time, Majora's Mask, Mario Kart, and the various games from Rareware are all great titles, and can easily be a good reason to get an N64. But aside from the excellent support from Nintendo and Rareware, what else is there? Inferior ports from other consoles. 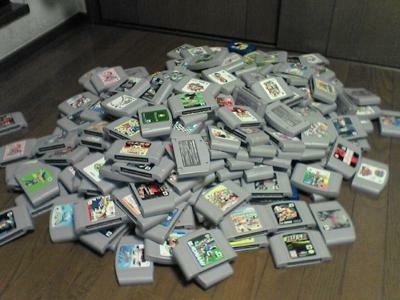 Every time I hear people talk about the N64, it's the same 15 or 20 so games. This is because the N64's game library is a vast, open sea polluted by bad third-party games and ports. Nintendo and Rareware served as small islands to seek shelter on. Compare this to the Sega Saturn, which had great first-party support and decent third-party support in Japan, totaling to about 1200 games internationally. And let's not even get into the PS1's library; God knows how many games that console had (and maybe Google knows too, go ask him). I'm pretty sure that 98% of the N64's library is consumed by 3D-oriented games. This was during an era when 3D gaming was in its infancy and still wasn't quite there yet. The first true 3D platformer was on the N64; Super Mario 64 of course, which was a revolutionary game that changed our perspective on home console gaming. 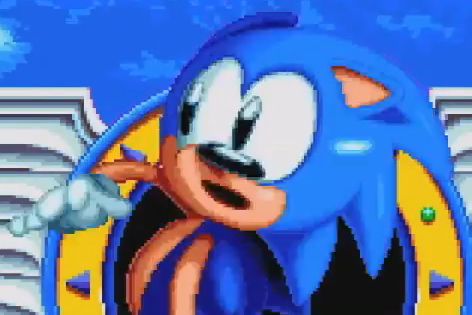 What ensued was a rush for 2D franchises to jump into 3D as fast as possible; some performed it gracefully, but not perfect (Mario 64), some required a lot of time and building towards, but still turned out good in the end (Sonic Adventure), and some sucked so much that it resulted in the subsequent death or drought of the franchise (Bubsy 3D). Even if the 3D kind of sucked on these consoles, they had a fair amount of 2D awesomeness to make up for it. Sega Saturn has a plethora of 2D games, PS1 has a sizeable amount as well. But the N64? You'd be lucky to find one shoot-em-up game. As for role-playing games, the N64 has...what, two I think? The obvious one is Paper Mario, which is good, but doesn't live up to Super Mario RPG on the SNES, and Quest 64, which was...okay. The big reason for a lack of RPGs was the limited storage space of the format Nintendo decided to use in this era; 16MB cartridges, instead of the flashy, shiny and cost-effective CD-ROM format that the PS1 and Sega Saturn used. Whatever the reason may be (it was probably the trouble they had with Sony and the SNES CD add-on), it ended up biting back when Squaresoft infamously left Nintendo to make Final Fantasy VII on the PS1 because of the storage limitations of cartridges. This also meant no full-motion video and bit-crunched sound effects and music on games and ports for the N64. Developers drove away from Nintendo to develop for the more capable, more cost-effective and leading console in the war, the Sony PlayStation, and in some cases, the Sega Saturn as well. With experimentation comes flaws; that's just how it is. Eventually the bugs will be worked out, and the product would get better over time. This is the most important thing to remember about the N64. As fun as it was to point out its flaws, the N64 serves as a stepping stone in the history of gaming, as it encouraged game and hardware developers to move forward, to innovate, and to try new things. It was a very experimental console and a sign of the times, but perhaps that was for the better, as it paved the way for newer consoles to surpass it and become more successful than it was. It also spawned Nintendo's brilliant ability to redefine the way we think of gaming, for better or for worse. Couldn't agree more about the format, no matter which way you hold the controller, it always seems wrong. However, IMO, the analog stick was pretty confortable (when in brand new state) and incredible precise. The combination of an optical sensor + long analog works good. But aside from the excellent support from Nintendo and Rareware, what else is there? That was terrible for Nintendo. I don't know if they really made a project error, or it was on purpose (so people would buy more controllers), but it was a shame they made the controller get bad so quickly. Until last year, when I could actually found good quality 3D printed replacement parts for the controller (got 10 sets so I can die happy), there was practically no solution for the average gamer. 1) New genuine controllers impossible to find. 2) Hori Controllers incredible expensive. 3) Every single "not genuine" controller with a terrible analog - good N64 games requires very goodprecision! 4) Gamecube replacement analogs being sold as new, but without the proper analog range, making some games unplayable. Are you interested in Pies? People always forget Mystical Ninja: Starring Goeman from the N64s great titles and it's by Konami. Worth a play through. Very well said. I feel compelled to point out a few small factual errors though. If Wikipedia is correct, the gap between the release of the N64 and the Saturn 3D controller wasn't months, as you said, but less than 2 weeks (June 23 1996 & 5 July 1996), at least in Japan. 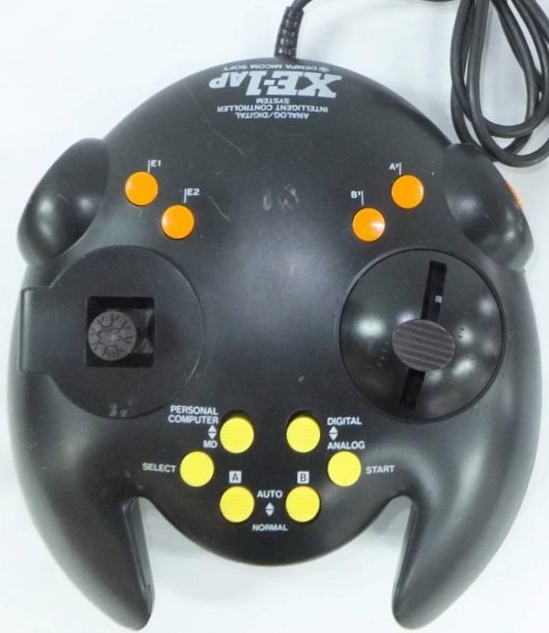 In other territories, it was even the reverse: the Saturn 3D controller was available months earlier than the N64. Neither Saturn nor N64 was the first to feature analog sticks, though. And I don't think it was the Atari 5200 either. Analog controls (including sticks) were already present in some form or another as early as the 1970s. Information on this can be hard to find due to the obscurity of such systems, but if my sources are correct, this console from 1978 had one too. In the spirit of this thread's title, I'd also like to add a few personal pet peeves regarding the Nintendo 64. While it is certainly true that 3D gaming only became relevant to many (young) gamers through the N64, this does suggest that they had turned a blind eye to other systems. I have a hard time believing GoldenEye 007 would have achieved its status as a classic if N64 users had been more aware of the competition, because in my view GoldenEye couldn't hold a candle to a number of (pseudo) 3D shooters that had already been available for years. The reason why Nintendo decided to place the analog stick in an octagonal socket is obvious enough, but sometimes what seems like a good idea really isn't. The round sockets employed by other systems prove that there is no need to guide analog sticks into 8 distinct directions, and that the greater freedom of movement a round socket provides is actually preferable. And yet Nintendo stubbornly adhered to the octagonal socket for 2 more generations. Why don't I see more people complaining about this? I liked the feel of the octagonal socket. Other then that I don't care much for the n64. But the retro fight controllers are nice. The N64 blew me away in the late 90s, I absolutely loved the thing and still have the console I got for my 11th birthday (I'll be 32 this year). I thought the controller was great and its 3D games looked 1000x better than my PS friends' 3D games. There were no load times and you didn't need to buy memory cards (for most games). There were no discs to scratch. At that time and even into the next console generation I would have defended it to my dying breath. Today, I see its flaws. The multi-plats are crippled (if N64 even got them) to account for low cart space, the controller is just bad and very ugly, they did a lot of tricks to enhance the 3D effect on weak hardware that now look bad on modern TVs. The N64 still holds a special place because it was my most cherished console as a kid but today I like other consoles of the same era more. I couldn't care less about the N64 back in the day, but DOOM64 was amazing (if you had a TV capable of extreme brightness)! My AVS arrived in the mail. It is awesome. Built in game genie, scan line generator, stretch to fit. Awesome.